Orientation 2017 - Lambda Phi Epsilon International Fraternity, Inc.
San Diego, California—Newly elected chapter presidents of Lambda Phi Epsilon convene during MLK Weekend to get equipped with the necessary skills to effectively lead their members. Chris DeEulis, Assistant Director of Purdue Fraternity and Sorority Life, prepared the professional development curriculum for the undergraduate attendees. On Saturday, International President William Tan kicked off #LFEorientation with a State of the Fraternity address that outlined recent progress and long-term goals of the organization. Attendees also met the International Fraternity’s Executive Director, Jim Gaffney, as he shared how his fraternal experience positively shaped his personal growth. “I believe firmly in the power that Greek Life has to change lives—both for its own members, and in the community at large. Those communities are never stronger than when they have strong, vibrant Greek organizations at their core. That’s why I’m so excited to take on this role, and to join all of you in your journey to lead authentic, fulfilling lives of purpose,” says Gaffney. Alumni Team: Forming infrastructure for graduate chapters. Communications Team: Seeking contributors for fraternity magazine. Education Team: Introducing the 2020 Noble Brother initiative. Expansion Team: Chartering at the University of Connecticut. Operations Team: Releasing chapter assessments. Programming Team: Announcing Convention 2017 in Atlanta, Georgia. On Sunday, the House of Delegates convened to vote on fraternity legislation. “Orientation was an eye-opening experience that gave me the opportunity to take in and gain insight on the perspectives of peer leaders from different universities,” says Anthony Tran, President of the recently chartered Associate Chapter at the University of Nebraska, Lincoln. 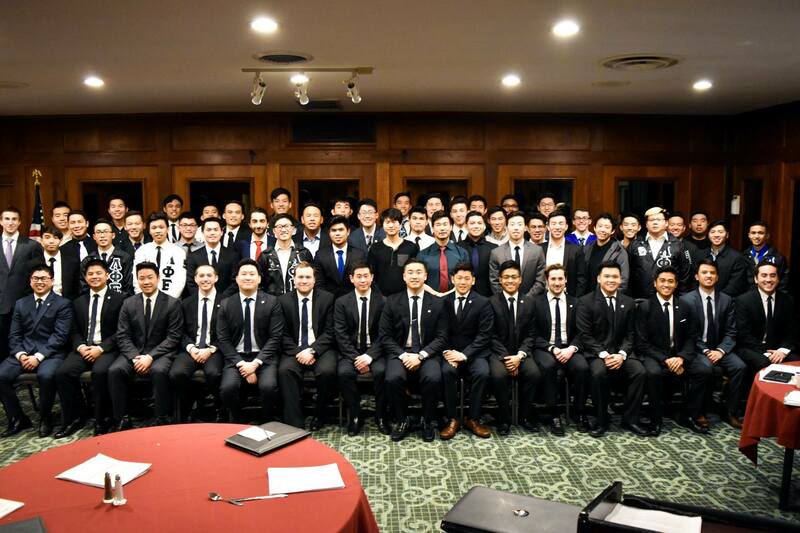 Midwest Governor Kent Tse found the interaction between fraternity staff and undergraduate members immensely valuable. “This is a rare instance where active undergraduates can have face time with their International Board. There are brighter days ahead with these leaders among men behind the wheel,” says Tse.